Twenty five years have elapsed since Antonio Di Pietro’s sting arrest of Socialist Party official Marco Chiesa lit the fuse on the biggest corruption scandal in Italy’s history. And memories of 17 February, 1992 still burn bright in the mind of the now-retired judge who became an emblematic figure in the country’s enduring battle against endemic graft. “It was the only way we could be absolutely certain of proving that a bribe had been paid,” Di Pietro told AFP. 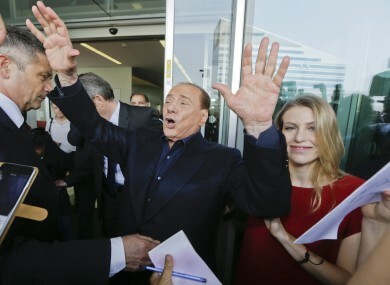 Chiesa’s arrest for taking a seven-million lire (€3,500) backhander over a services contract for the Milan hospice he ran marked the start of “Mani Pulite,” or “Clean Hands” – a far-reaching probe into the murky side of Italian business and politics. By the time it had run its course, 3,000 people had been arrested and half of the country’s lawmakers had been indicted. Some 1,200 people were convicted in the following years and several prominent business and political figures committed suicide before their day in court. A quarter of a century later, it is far from clear that the discovery of how extensively corruption had riddled the country’s body politic has led to a cure. It is not even certain the cancer is in remission, according to Di Pietro. “At the time of Mani Pulite, the public thought they were watching a battle between police and thieves. Today people have the feeling they are watching a war between different gangs of thieves,” said Di Pietro. “The situation is certainly not great, even if it has improved in the last few years,” Virginio Carnevali, the chair of the Italian branch of Transparency International. The trend has been reversed but there is still a lot to do. Organised crime is behind a lot of corruption today – it is easier to get someone to take a bribe than to kill them. By exposing the sleazy links between business and politics, “Clean Hands” effectively ushered the once powerful Christian Democrat and Socialist parties off the political stage. But hopes it would lead to a new generation of clean brooms emerging were dashed when Silvio Berlusconi took power for the first time in 1994. The media tycoon, who was eventually convicted of corporate tax fraud but managed to stave off several other corruption charges, moved quickly to enact new protections for the political caste, notably by reducing the gravity of offences like false accounting and by shortening the statute of limitations for financial crimes. Under Berlusconi’s leadership, Italy fell even lower on international corruption rankings, at considerable cost to its image and economic well-being. In 2014, employers organisation Confindustria calculated that the Italian economy would be 20 percent greater than it now is if it had taken effective measures to stamp out endemic graft after Mani Pulite, mainly because of the negative impact that the perception of Italy being a corrupt country has had on inward investment. While there has been no repeat of a scandal on the same scale, corruption appears to be thriving at the local level. Dozens of Rome politicians and business figures are currently on trial in a case known as Mafia Capitale while a recent report by the national unit that fights organised crime said 904 people were arrested on corruption charges in the first half of 2016. If Di Pietro had his way, he would restore the use of undercover agents to identify politicians willing to take a bribe, reduce the number of possible appeals against convictions and eliminate the possibility of criminal cases timing out after they have been brought to court. While such institutional issues are a factor, many argue Italy’s corruption problems are deeply rooted in a culture which values loyalty to family and friends above respect for the law. “The countries that are top of Transparency International’s index (Denmark and New Zealand) don’t necessarily use draconian measures but they do enlist their help of their citizens in the fight against corruption,” said Raffaele Cantone, the head of the national anti-corruption unit (ANAC). Email “Finding a cure: How Italy has waged a 25-year battle on public corruption”. Feedback on “Finding a cure: How Italy has waged a 25-year battle on public corruption”.